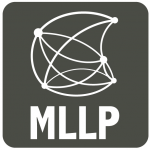 Multilingual website translation is the main new feature added in version 3.1 of the open source transLectures-UPV Platform (TLP) for the integration of automated transcription and translation technologies into media repositories, just released by the MLLP research group. You can watch here our new video demonstration to see how it works. The MLLP’s website is now multilingual, with automatically translated versions in Catalan, Spanish, French, Italian and other languages, in addition to the original English-language version. This has been implemented using the new multilingual website translation capabilities of the soon-to-be-released transLectures-UPV Platform (TLP) version 3.1.